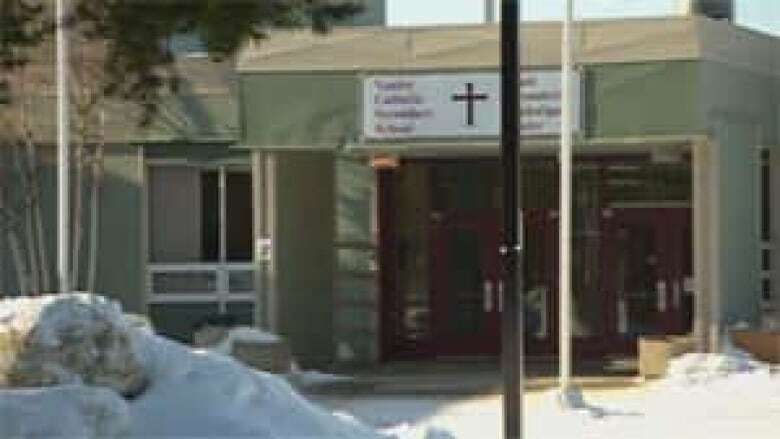 The principal at the centre of the controversy at the Vanier Catholic Secondary School in Whitehorse will not return to his position in the fall. The principal told students he had received death threats over the school's policy on homosexuality. The principal at the centre of the controversy at the Vanier Catholic Secondary School in Whitehorse will not return to his position in the fall. The school came under fire this spring for its policy on homosexual students. The controversy began after gay students at the school complained about the policy, which, according to the Catholic faith, says homosexuality is a "grave disorder", is "morally evil" and is "intrinsically disordered". A lesbian student said principal Ed Frison laughed after her locker was defaced with a homophobic slur, and did nothing. The offensive word remained on her locker for some time, until another teacher covered it. The Department of Education then ordered the school to change its policy. Now, CBC News has learned that Frison will not return to his position at Vanier in the fall. Students were told at an assembly last week. Liam Finnegan, a gay Grade 11 student at the school, said the vice principal told students Frison is going to a position within the Department of Education. "A lot of people came up to me and said 'congrats' or 'are you happy?' and I said, 'not really.' Because I feel bad for anybody who has to leave, or feels they should leave. And he did say he was getting death threats," said Finnegan. Finnegan condemns the threat of violence. "Death threats are a form of violence. Because it is harmful to the person, mentally, and it's really harsh, and so it wasn't something that I would ever support. It’s not something that I was happy about when he said that. I said 'that's too far, I wish that didn't happen’, but it sadly did." Finnegan said he never wanted a change in the school administration; he just wanted the school to have an official Gay-Straight Alliance. He added that Frison is a nice, kind man. Vanier now has an official 'Gay Straight Alliance’ group. Finnegan has been a vocal champion of gay rights throughout the controversy. He said the group has six members after its first meeting, a few weeks ago. Finnegan said the group will meet again in September. Whitehorse Bishop Gary Gordon refused to comment, saying that he and the Catholic Episcopal Corporation remain in discussion with the Minister of Education, Scott Kent. Gordon would not say whether or not he approves of the term: 'Gay Straight Alliance'.